This custom bike was built by Ben Rumbelow from Crap Chicken. We don’t know which name is better, Rum Below or Crap Chicken, but usually they both end up making us sick. When we say Ben built this bike, we mean he built it in photoshop. You see Ben is an artist, photographer and designer who also has a love of motorcycles. 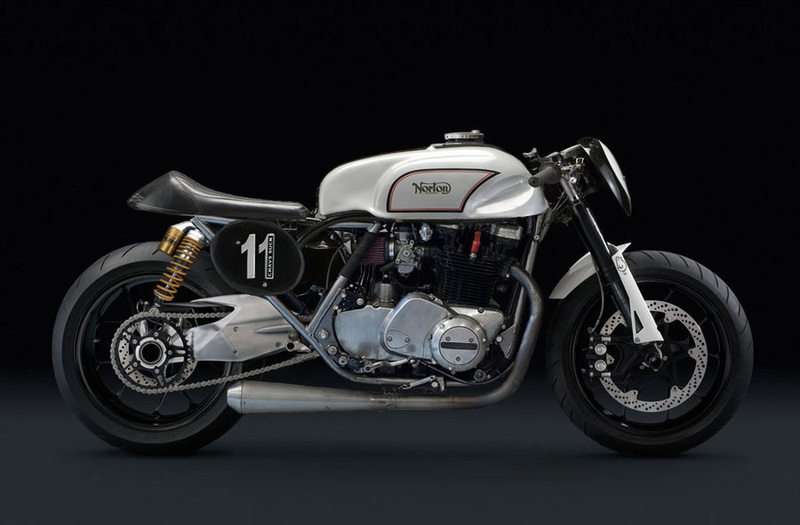 This creation is named the Nortozuki, obviously by combining a 1962 Norton Manx and a Suzuki together plus many other motorcycle parts. Some other features include a KTM690 stunt running gear, Ohlins rear shocks, Kawasaki Z750 engine from a wrenchmonkees bike and mounted using bolts from a Confederate P120. If you want to see more of Ben’s motorcycle mashups visit his unique gallery.